Tight shoes and heredity lead to painful bunions for more than 35% of men and women age 65 and over. 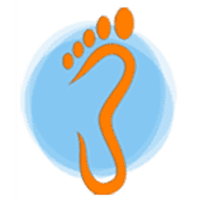 At Animas Foot & Ankle in Monticello, Utah, the expert podiatrists provide effective solutions for bunions, so you can walk without pain and discomfort. If you’re bothered by bunions, and home remedies aren’t relieving your foot pain, book an appointment online or over the phone today. Bunions are bony bumps that typically form at the base of your big toe. Bunions are structural problems that result from heredity, wearing narrow shoes, or arthritis. Bunions develop slowly and change the structure of your big toe joint over time. They make it painful to walk or wear shoes. What are the Symptoms and Signs of a Bunion? If the bunion doesn’t bother you, medical treatment isn’t always necessary. But if you experience persistent pain and discomfort, you should seek the professional care of the experienced podiatrists at Animas Foot & Ankle. Left untreated, bunions can cause additional structural complications in your feet. What Effective Bunion Treatments are Available? There are several nonsurgical remedies for bunion pain. In many cases, wearing wider shoes that no longer put pressure on your big toe can help you successfully manage symptoms. You may also get pain relief from wearing protective bunion pads to cushion the bump on your toe. Custom foot orthotics, toe spacers, and toe splints can also be effective in taking the pressure off of your toe. Furthermore, icing can relieve swelling, and over-the-counter anti-inflammatory medications can also help minimize swelling and arthritis pain. If nonsurgical therapies don’t work, surgery to correct the bunion may be your best option. During surgery, your podiatrist will realign the bones, ligaments, and tendons in your big toe to relieve pressure. Most surgical bunion treatments are outpatient procedures, so you can return home the same day. Recovery from bunion surgery will take about 6-8 weeks before you can become as active as you’d like again. For the most advanced technology in both nonsurgical and surgical treatments for bunions, call the experts at Animas Foot & Ankle or book online to schedule an appointment.